Get your kick's on Route66! :] - Motorcycle tour to Finland — Motorcycle Adventures on The Globe! Route66... have you always dreamed? Now you can drive Route66 in 1 day from end to end! Not yet legendary Route66 Finland! From Lapua to Orivesi all day long! We drive the historic Route66 Finland from Vaasa to Tampere. We travel about 380 kilometers on our R66 day! The whole tour is a fun weekend break with 1000km! You fly in on Thursday evening. On Friday we take great countryside roads up to Vaasa from Helsinki. Saturday is your Route66 day! On Sunday we drive back to Helsinki and you are good to go latest 2pm! You will see and experience; Finland's 'Texas' around Vaasa. Finland's 'Cadillac Ranch' in Koskenkorva West. Curvy roads covered by Sun (if it does not rain :)! From TV familiar (Finnish TV) Finland's 'Las Vegas', fabulous Tuuri! Not from anything familiar Ruovesi! Potentially beautiful Lapua. Dazzlingly beautiful Finland's 'Grand Canyon' at Hell Lake Nationalpark! The Tampere's famous Saloon Rodeo66 with its nightclub. Welcome to ride the future legend Route66 Finland! Enjoy our beautiful and clean archipelago! 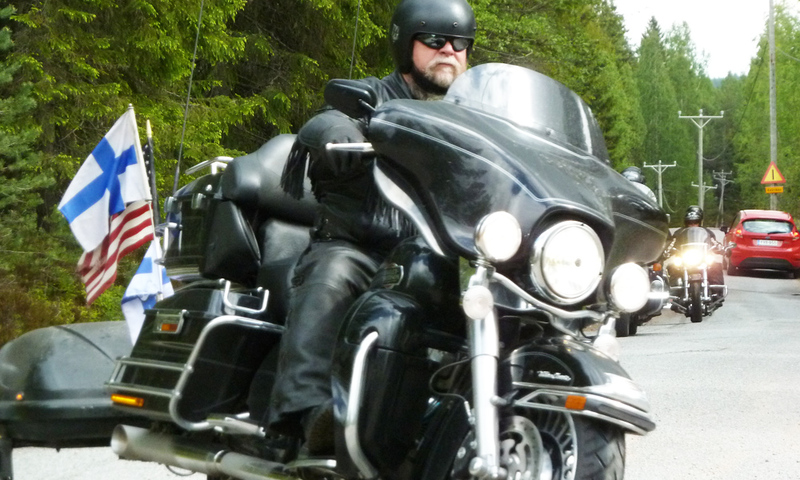 ROUTE66 MOTORCYCLE TOUR TO FINLAND! DRIVE FUTURE LEGEND NOW! We wish you arrive at your Helsinki hotel until 9pm. On this tour you will stay in Helsinki city center. From the airport you reach your hotel easily by airport train or Finnair's airport bus. A bus is running every 20 minute and a train is running every 10 minutes. At 09.30pm you will have welcome dinner with your tour leader. 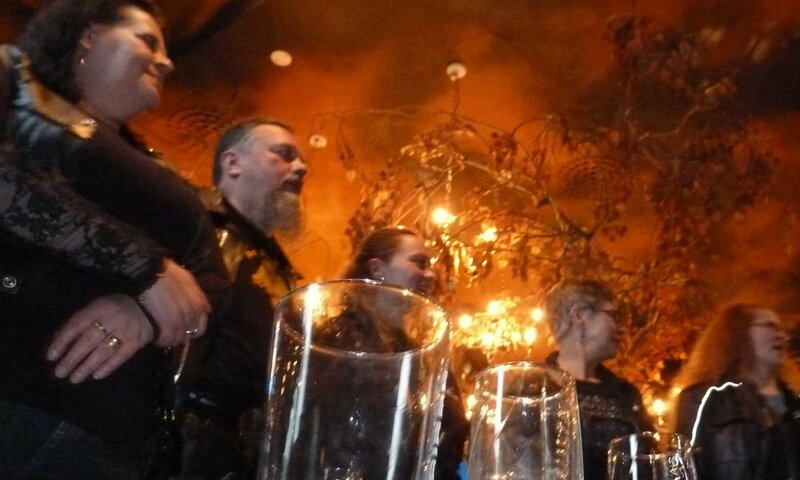 During the dinner your tour leader will give you a lot of info on your coming weekend! If you have power in your personal batteries after dinner, we will take you for a little city walk to the beautiful Helsinki city center! Showtime. Not Route66 yet today, but you will have a lot of great countryside roads. In fact we will take you immediately to small fun roads after leaving Helsinki and we stay on them all day long! For lunch we stop in some small village where a foreigner is still an attraction and we have a lot of those places here! Your day will end in the virile Vaasa, where we stay in the lively city center. Your colorful Route66 Finland day all day long! Koskenkorva West Ranch, 'Las Vegas', 'Grand Canyon', Club Rodeo, Saloon66. Night in Tampere which is the second biggest city in Finland. At our first stop in Koskenkorva West Ranch you can buy all the Route66 souvenirs you need! And from there we drive to Lapua, the starting- and or ending point of the official Route66 Finland! A relaxing morning and with a long buffet breakfast! Maybe you want also to take a city walk to Tampere city center! We check out 12 noon and take the fast motorway to Helsinki Airport. Tour ends and you can leave your bike at the airport! If you have a later flight, you can do some sightseeing drive around Helsinki area and leave your bike when it is time to fly. ° Sauna every evening at hotels! ° This tour is very much suitable to drive with 2 on the bike! This is an easy and relaxing tour! You drive on paved small countryside roads which have very light traffic! And yes, there is not too much traffic anywhere in Finland! All roads we use are paved. And there is a service car for your luggage, so no problem if you took with you a little bit too much this and that! This is much like the trip with 1 reindeer. Differences are that the driving days vary and are a bit longer. Hotels are 3-4 stars. You do not need to be a CrossFit master for this tour. There are kilometers yes, but also enough breaks for pictures, coffee and to be with your group! VISA - No visa needed on this tour if you hold an European, North-American, Australian or New Zealand passport. If you come from a country where from visa is required, we help you with that!